Reed Richards is one of the most important characters in Marvel’s history. He’s the father figure of the Fantastic Four, the first superhero series that began turning a then-unremarkable publisher into a cultural powerhouse. There used to be dozens of versions of Reed but now there’s only one. And he’s not here to save the world. Over the last month, The House of Spidey has been rolling out the first few titles of what they’re calling All-New, All-Different Marvel. It’s not a reboot, where they erase past continuity. Instead, they’re spacing the first issues of these new relaunched titles eight months out from the event of the still-unspooling Secret Wars. Johnny Storm and Ben Grimm are active on different super-teams but Reed and Sue nowhere to be seen. The biggest connection to the traditional Fantastic Four line-up is an evil doppelganger of the team’s leader from a dead alternate reality. This Reed hails from the Ultimate Universe, a 2000 creation launched when Marvel created a new imprint with more modern, updated versions of their most popular characters. 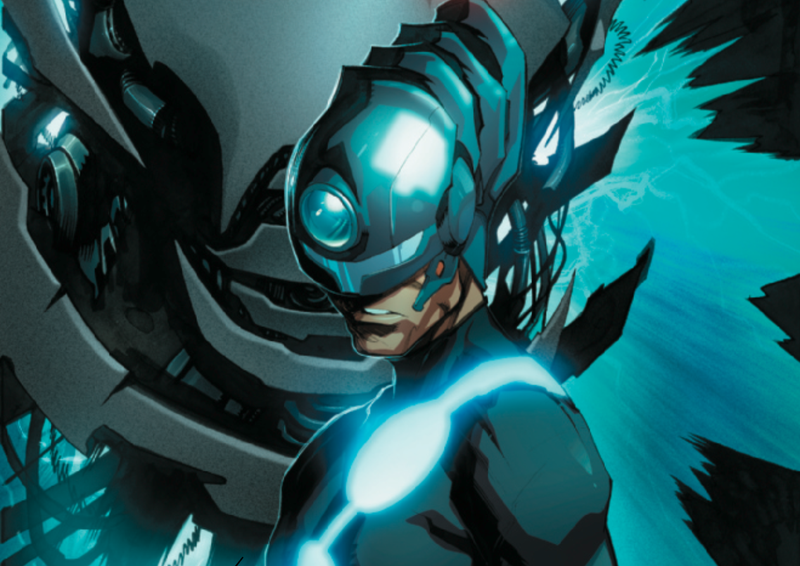 At first, the Reed Richards of the Ultimate Universe was pretty much just a younger, quirkier version of the super-genius longtime readers already new. But the similarities ended quickly. A catastrophic attack on New York and emotional trauma led Ultimate Reed to a complete about-face. He became The Maker, a man who ruled over a time-accelerated ecosystem filled with superhumans and the most fearsome villain in the reality of Earth-1610. Then realities started crashing into each other and Secret Wars happened. Like his mainline counterpart, Ultimate Reed devised a way to survive the end of everything. They’ve shared a few scenes in Secret Wars so far, which have served to so the contrast between the two men. However, unlike the Reed of mainline reality Earth-616, the Maker has been shown in the universe that congeals after Secret Wars. He first showed up in Avengers #0 as the evil-dude-in-charge of a nefarious science terrorist organization built from the remains of A.I.M. From there, Marvel’s moved him to be the first antagonist for the New Avengers. That series’ first two issues pit the super-team backed by bleeding-edge science against weird extra-dimensional creatures made by the Maker. The original Reed Richards’ massive intellect was balanced by big dollops of compassion and heart. So far, The Maker’s appearances have made him seem a bit more gleefully sadistic than he was in his native reality, where he evinced more of a cold detachment and arrogance. It’ll be interesting to see what happens when this Reed comes into contact with the latest version of Victor Von Doom but, unless they’re careful, an evil Reed Richards could come too close to being a standard mad-scientist bad guy. But the most intriguing thing about The Maker right now is that he appears to have an inkling of how the multiverse has changed. The hook with Reed Richards is that he’s a character who knows more than just about anybody else, but uses that genius for good. A polar opposite of that person armed with knowledge that could threaten the fabric of existence might just be in the running to be the Marvel Universe’s top bad guy.